Hi all! I apologize for not updating here lately. I went on a trip last month and haven’t gotten around to go through the beauty products I got then. Even those before the trip. 😛 Anyway, I’ll eventually get to them. 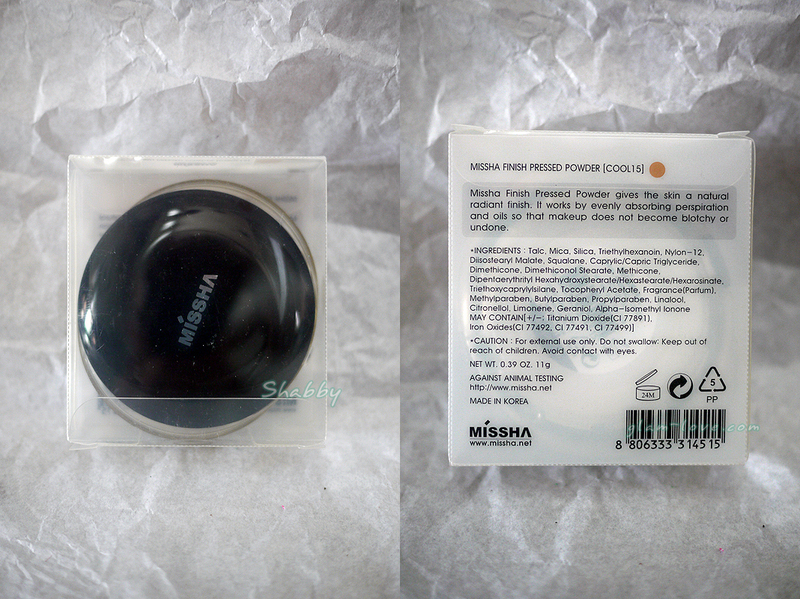 Here’s my review of the Missha Finish Pressed Powder that I got from my Mum. She gave it to me with some eyeshadows and two liquid foundations still from the same brand. She said someone gave them away during their Philippine Dental Association Convention. Missha is actually the first Korean beauty brand I got. 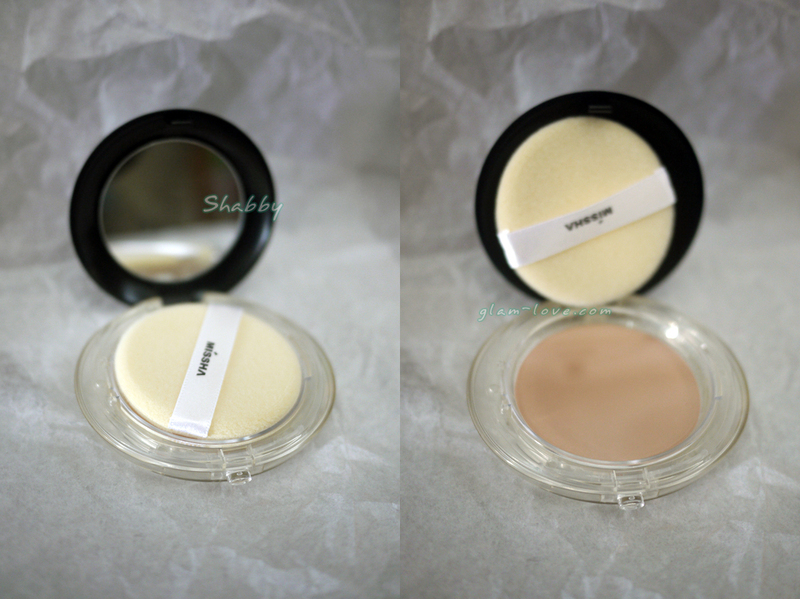 Missha Finish Pressed Powder gives the skin a natural radiant finish. It works by evenly absorbing perspiration and oils so that makeup does not become blotchy or undone. I haven’t used any face powder ever since I started using a bb cream. But I got annoyed with how oily my face gets and, yes, the oiliness makes my makeup become blotchy at times. Then I thought I should start using powder again. I decided to finally use this pressed powder. Cool15 is very near my skin tone. I’m glad that’s the one given away. Must be a ‘safe’ tone. I knew Missha will be my favorite Korean beauty brand. LOL It does live to its claim by absorbing perspiration and oil. It keeps my skin oil-free for almost the whole day. My skin didn’t break out too, so I’m assuming this doesn’t have any harsh ingredients. Unfortunately, I have no idea how much the powder costs, but I hear Missha’s quite affordable here. If this is sold in a reasonable price, I would definitely purchase. Missha is located at the Upper Ground Floor of SM Annex North EDSA and Landmark Trinoma. i have that same pressed powder too given to me by an office mate, she said that came from her friend whose a manager of that brand and as my office mate knows that pressed powder is just a sampler maybe thats why yours came from a convention.